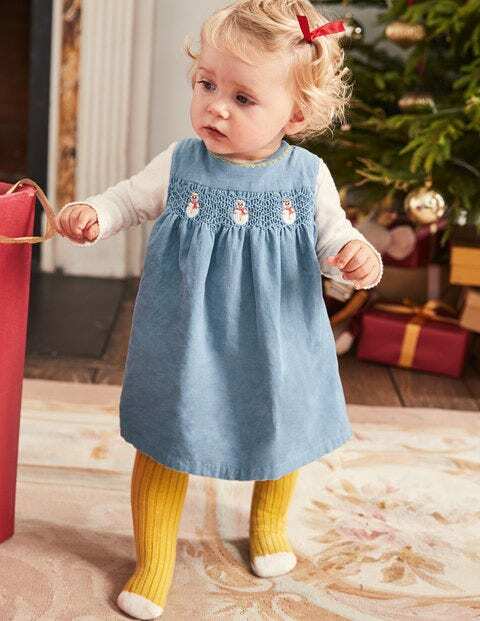 Never mind turning on the Christmas tree lights, this dress will get all of the 'oohs' and 'aahs' this winter. In cord or cotton, both styles feature smocking on the yoke and glittering thread. A full lining keeps little wearers warm, and the back is buttoned to make changing speedy (so more time for opening presents).